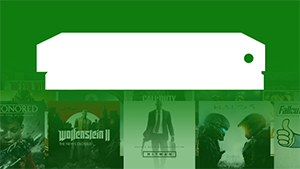 Forza Horizon 4 was subject to a largely successful launch back in October 2018, receiving critical acclaim and an impressive player count encompassing approximately 1/4 of all registered TrueAchievement users. However, the recent Update #7 has received a more mediocre reception, with an average user rating of 2.8/5 at the time of writing. A major dissatisfaction from players pertained to a severe connectivity issue plaguing Quickplay (Unranked) Online Adventures, disconnecting many players during or at the very end of these events. Aside from making online play highly temperamental, the bug also made the following achievement uncharacteristically difficult to earn. The Time for an Adventure! achievement in Forza Horizon 4 worth 108 pointsPlay your first unranked Free-for-All Adventure. Fortunately, Forza Support has confirmed that a fix is on the way today, with new online servers being rolled out over the next 24 hours to allow players to get through Quickplay Online Adventures without any further issues. We've got the full list of Forza Horizon 4 achievements - check the list for guides to unlocking them.